Today I will be showing you my favorite shoe trends for the fall and winter time. 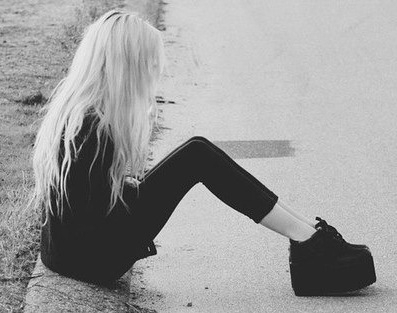 I first want to tell you that I love Jeffrey Campbell´s shoes. They are all so sophisticated and brilliantly designed! I almost love all their black shoes. Black is a color which is never outdated and it makes every outfit look fashionable. Click read more to see the shoe trends for fall and winter! This fall gold will return. Go for a pair of chic black boots with a golden detail. It will not just look nice, but it will give a chic fling to your shoes. Gold looks expensive so we easily relate it to luxuriance and femininity. Actually you can say the Egyptians where the trendsetter! 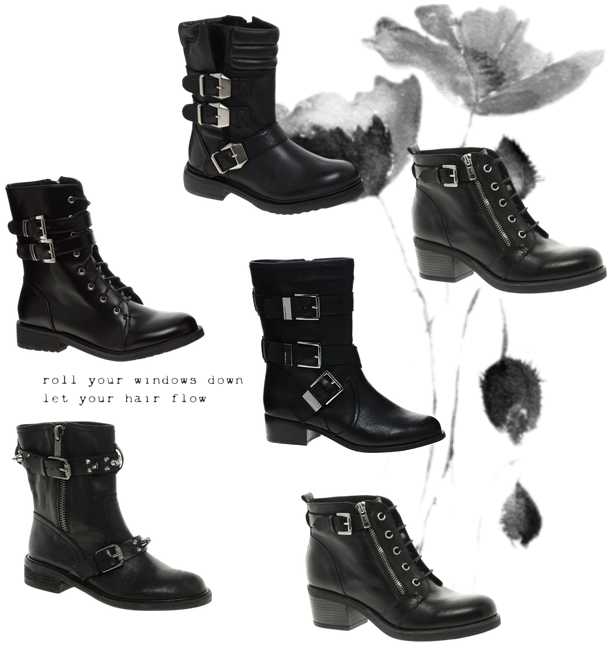 One of my favorite trends for this winter are tough boots. I am still looking for the perfect pair in my size (yes, my feet are quite large). I love black boots with all kinds of details and straps. My perfect pair would have the shape and color of black Dr. Martens with a few straps around it. 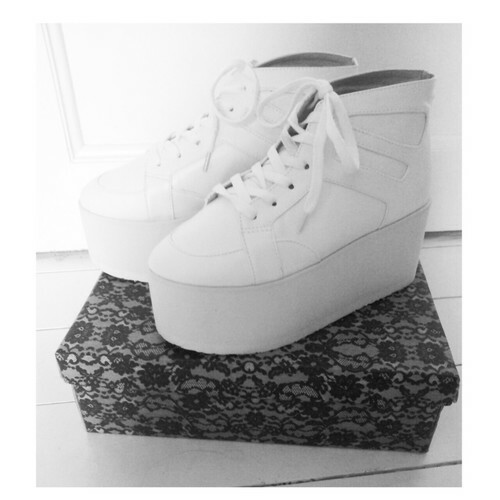 As a final touch, I want to tell you that I love platforms (or flatforms). They make you look taller, thinner and look so adorable! I love how they pimp up a boring outfit and I just love the look of wearing them with leggings or shorts. What is your favorite shoe trend for this fall and winter time? 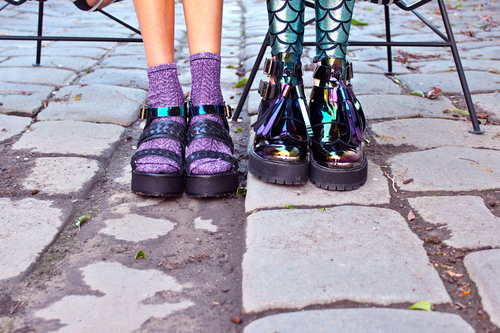 En die platforms zijn super cute :)! Alle schoenen die je hier laat zien vind ik gaaf! Zelf ben ik ook nog op zoek naar een paar Chelsea boots, die vind ik ook erg leuk voor de winter. Ik vind die boots met gespjes nog steeds erg leuk! This pictures post has officially made me jealous of whoever who is able to own every single pair of shoes here. I want them all! !